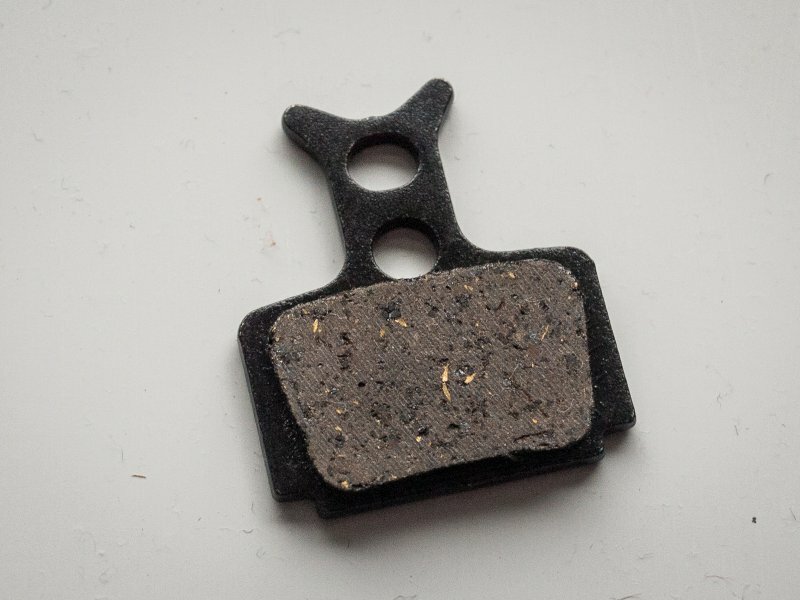 How many brake pads do you think we get through out during our mountain bike holiday season? For me it´s usually a set or two a month, more if we get bad weather. 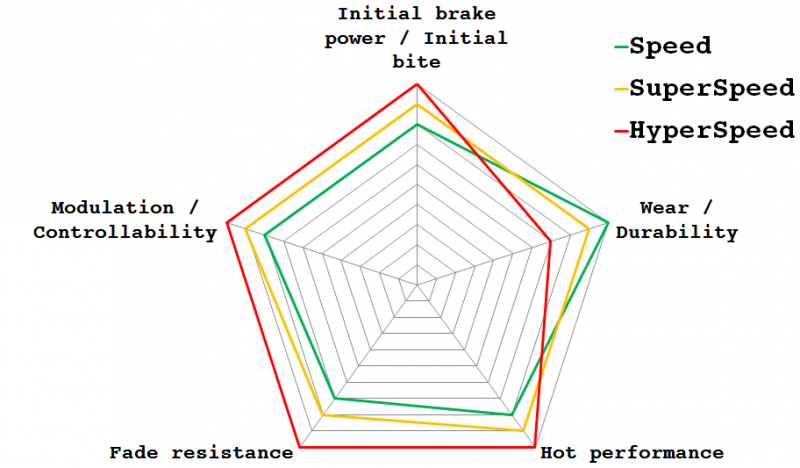 It adds up, meaning around 15-20 sets of brake pads a year and if you are buying them in the shops, even with a friendly price, it is a few hundred euros. I have tried various online shops with mixed success, some of them have been excellent and others variable. 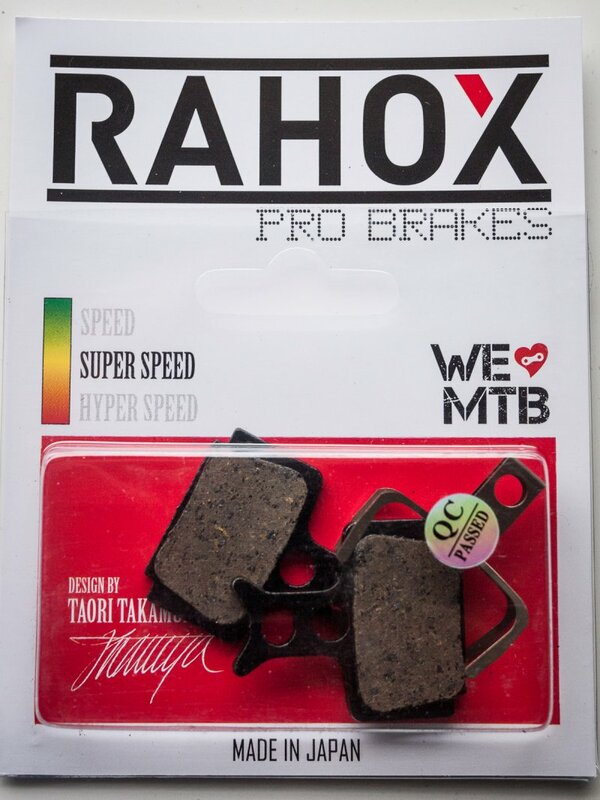 Recently I was contacted by Rahox to test some of their mountain bike brake pads. Read on to see how I got on. Rahox offer three options which are rather misleadingly named “speed”, “super speed” and “hyperspeed”! Now call me traditional but I don´t look for speed in my brakes! Of course what the names signify is the bike speeds the pad materials are best suited for. “Speed” is for more XC type uses, “Super Speed” for Enduro-Freeride, or what we call “mountain biking”, and “Hyper Speed” is for DH. 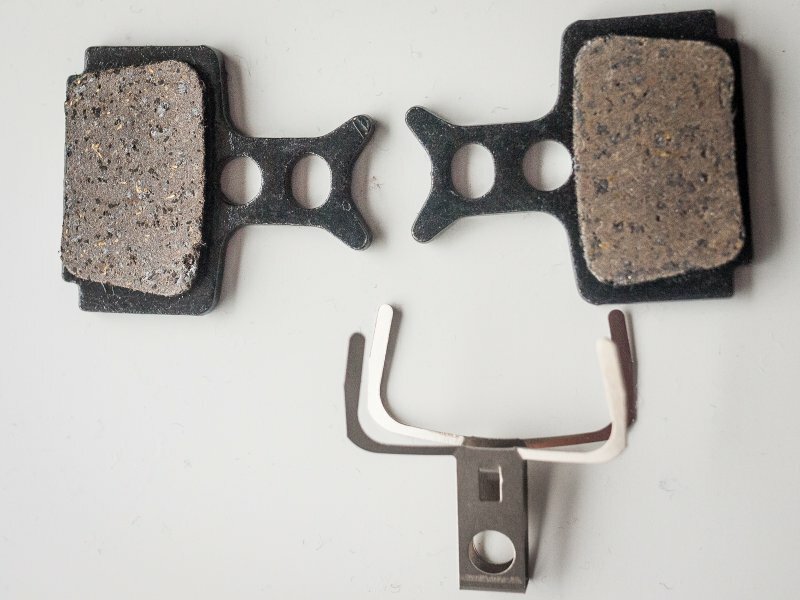 All the pads are metallic, mixed with ceramic and resin, but the amount of metal and the size of the particles changes according to the brake rating. I am testing the “SuperSpeed” and the “HyperSpeed” pads. Below you have a nice little graph which details the different pad types. Currently I am running two types of brakes, a set of Shimano XT´s and a set of Formula R1´s. The Shimanos are 203mm rotors and are fantastic, with power to spare and a nice feel once you are used to the suddenness of it. The Formula brakes are, well they´re not like that. The Formula brakes are on a 29″ bike with 160/180mm rotors and they fade and lack power even when cool. I decided to test the Rahox on the Formula brakes because I felt it would be a more difficult test to pass. Lets go through what I found step by step! Firstly I had problems fitting the pads. They are thicker than normal pads and didn´t fit into the brakes. I had to let some fluid out of the reservoir to get them in. I asked Rahox about this and they told me that they put more material on and it can sometimes cause this problem. In my mind, as they were telling me that, I was thinking more material = more life which can only be a good thing. The second thing I noticed was that the brakes were almost bedded in when I got them. Literally after the first hard brake they felt perfect. Normally I would do a series of hard brakes to build up the power but the Rahox didn´t seem to need that much. I asked Rahox about this and they told me that they use a process to give the brake surface a very smooth finish, more so than other manufacturers, and this almost cuts out the bedding in time. I have to admit to being sceptical about that but both sets of pads I tested were the same, with very little bedding in required. Power was greatly improved over the standard Formula pads. Lets be honest, the Formulas are still a long way from being my favourite brakes ever but they are now useable. The only thing I have changed is letting a bit of fluid out and changing to the Rahox brakes. The brake pads have been fairly silent for me throughout my use. That´s not abnormal to be honest and I didn´t have any issues with the old pads making a lot of noise either. Following this test I received a pair of Rahox pads in the medium, “super speed” compound. I put them in my pack and set out to ride my new trail, El Cerro, which is a really steep plummet down a ridgeline. Riding the Orbea Occam here I really found the descent difficult and was on the brakes for the whole 500m descent. My rear brake, using the Formula pads from Rahox, performed perfectly, however my front Shimano XT brake which had in Coolstop pads squeaked and squealed all the way down and there was noticeable brake fade. After a couple of runs I found I was down to the metal backing plate. I changed for the Rahox XT pad, without doing any bedding in other than pumping the lever a few times and set off to ride the same descent. What a difference. The brakes were now powerful and noise free. When I reached the bottom the brakes were roasting hot, as before, however I never experienced any brake fade. It was quite a startling difference and really surprised me. After several long rides I can definitely give the Rahox brake pads a big thumbs up for performance. The power is great and I have had no fading issues. The lack of bedding in time might also be interesting to people when they have to change pads in a situation where they don´t have time to bed the new pads in, for example an enduro race, 24hr race or even a long day of riding. The next thing to watch is the lifespan. I will be reporting back on that over the next few weeks and will update this article with the relevant information. Update: Testing on the tough “El Cerro” trail really brought to light the improvement these pads offer over other similar priced offerings. I really can´t recommend them enough. I have found pad wear OK so far, I will add another update after a couple of weeks riding in the Pyrenees. The pads are really powerful and I have found them totally silent in use. It feels a bit like I´m promoting these pads but I´m not and I have no interest in the company, they are just really, really good. The price is around €14-17 which is similar to other pads and more expensive than other online companies but the quality is head and shoulder above the competition in my experience. 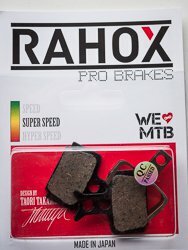 At the moment you can buy the Rahox brake pads on http://www.rahoxbrakes.com/ and there is free shipping throughout Europe. Pads cost around €15 depending on the type. This entry was posted el Tuesday, March 4th, 2014 at 5:32 pm	and is classified as Reviews. You can receive any comment using RSS 2.0 feed.Both comments and pings are currently closed.